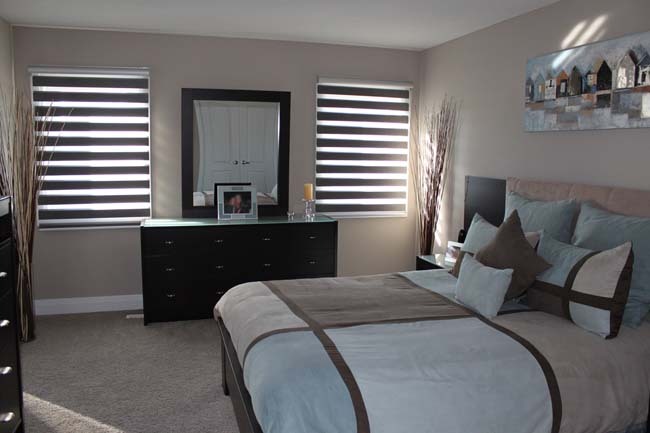 This residential project saw the installation of High-Lite roller shades to meet the client’s needs. The client wanted to be able to control the light while still maintaining a degree of outward visibility, and yet preserve nighttime privacy. 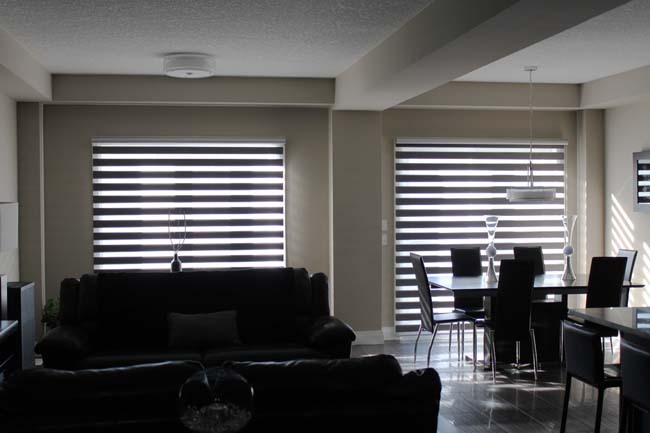 Traditional shear-weave roller shades are great for controlling glare and providing outward visibility during the daytime, but offer no nighttime privacy. 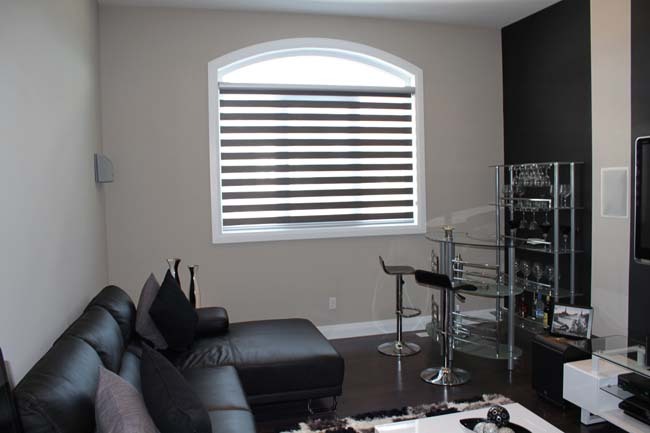 High-Lite roller shades allow you to maintain your view while protecting your privacy. Alternating bars of coloured and clear fabric pass over each other resulting in light blocked completely or having an appearance similar to a Venetian blind, yet granting the privacy of a roller shade. (above) High-Lite shades installed in the upstairs bedroom. (above) High-Lite shades were installed on the upper trim, as an inside mount on these European-style windows would have impeded the open/closure of the windows. 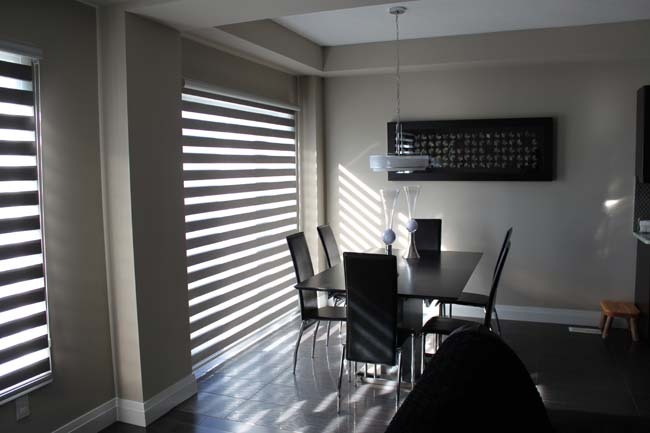 (above) High-Lite shades allow filtered light to enter the room while maintaining daytime privacy. (above) On this shaped window, we mounted the shade laterally (mounted from the ends of the shade) to accommodate both the window’s shape and lack of mounting area.